The first look poster of Superstar Rajinikanth from his upcoming Tamil gangster drama "Kabali" was unveiled on Wednesday, sending the actor's fans on social media platforms into a frenzy. 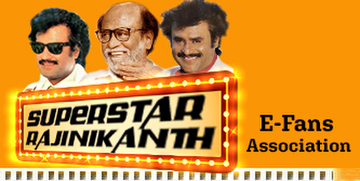 Two posters of Rajinikanth in different getups were unveiled on the eve of Ganesh Chaturthi. In one of the posters, he is seen seated cross-legged in a stylish grey suit with the Malaysian twin towers in the backdrop. In the second poster, he is portrayed as local don Kabaleeshwaran. It took just minutes for the hashtag "Kabali" to trend online. Directed by Pa. Ranjith, the film chronicles the story of a gangster, played by Rajinikanth himself, and will be shot in Chennai and Malaysia. The film is reportedly based on the life of a Chennai-based don. Also starring Kalaiarasan, Dhansikaa, Dinesh and Radhika Apte, "Kabali" goes on the floors here on Thursday.